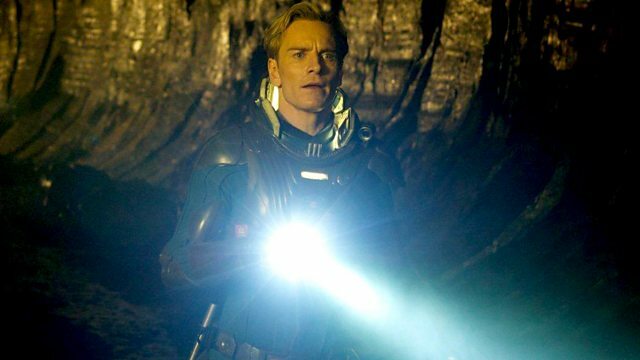 Tom Sutcliffe and his guests, writers Malorie Blackman and Giles Fraser and musician Pat Kane, review the week's cultural highlights including Ridley Scott's film Prometheus. Tom Sutcliffe and his guests writers Malorie Blackman and Giles Fraser and musician Pat Kane review the week's cultural highlights including Ridley Scott's film Prometheus and Christopher Eccleston's performance as Creon in Antigone at the National Theatre. It is over thiry years since Ridley Scott all but invented the science fiction film genre, first with Alien and then with Blade Runner. Prometheus is described as a prequel to Alien, the film which itself has spawned so many sequels. Starring Girl With The Dragon Tatoo star Noomi Rapace along with Michael Fassbender and British actor Idris Elba - does the film live up to the hype? And does the vastly superior digital technology three decades on aid or detract from the creation of monster aliens and forbidding planets? Christopher Eccleston is Creon and Jodi Whittaker is Antigone in a new production of Sophocles's Antigone at the National's Olivier Theatre translated into modern idiom by Don Taylor. Directed by up and coming director Polly Findlay and set in an Eastern European type bunker, how does a play which explores the conflict between the individual and the state resonate in 21st century Britain? Pulitzer Prize winning author Richard Ford's new novel Canada explores the adolescent trauma of 15 year old Del Parsons whose parents rob a bank. This extraordinary event is recounted in great detail 50 odd years later by Del himself. The novel explores the themes of memory and survival, issues that lie at the heart of American identity. Turner Prize winning artist Grayson Perry brings us a new three-part series All In The Best Possible Taste on Channel 4 in which he goes on safari through the taste tribes of Britain, not just to observe our taste, but to tell us in an artwork what it means. The work he'll be creating is a series of six imposing tapestries called 'The Vanity of Small Differences' - his personal but panoramic take on the taste of 21st century Britain, from Sunderland to Tunbridge Wells to the Cotswolds.